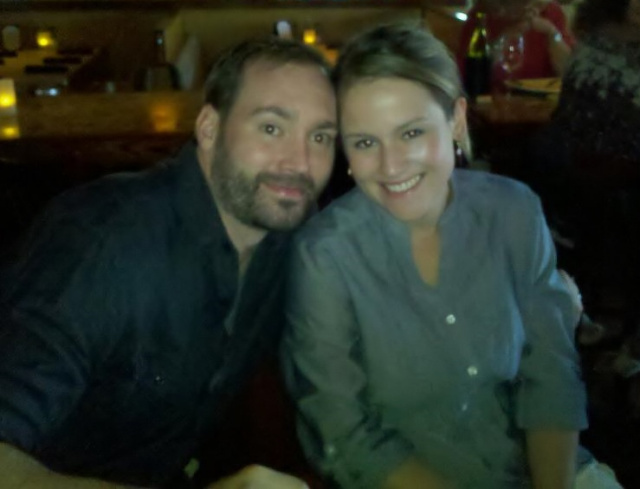 Mokuzai Furniture is just two people, husband and wife, Peyton and Tamara White. We hand make each and every piece from start to finish. When you call, you speak directly with the owners. We handle every aspect of our business personally. We love how this keeps us directly in touch with our customers. We stay very busy but we love what we do and we hope you will be able to see that come through in each finished piece of furniture. "I’m completely self-taught. From a very young age I found that if I wanted to learn something, I’d pick up a book. I would read everything there was to know about the subject. I decided if it’s in a book then I can make it happen. When I became interested in woodworking, I started reading. I collected a few tools, built some things and repeated. There is something to be said about formal training and degrees, but whatever you learn, until you make it and it looks good and feels good, it doesn’t really matter. I do what I like to do and what looks good to me and I 've put in the hours to get it right. I wasn’t taught a perfect dovetail but hundreds and hundreds of dovetails later, my hands have learned it." "The table comes to me, in a complete but raw form. I wipe that first coat of finish and reveal everything that Peyton has planned. What a treat it is to see the grain patterns and colors all perfectly placed for this one stunning piece of furniture! I love the phone calls and email correspondence with our customers as I help them create a custom design or tell them about what makes our work so special. With a background in interior design, I can recommend the right wood color, the best use of space, and the perfect furniture design to bring a room together. I enjoy the photography component of our business, working to adequately convey the beautiful details through a picture. 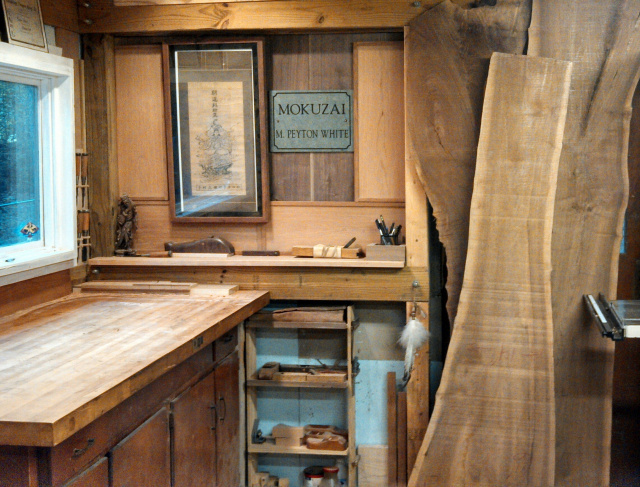 Mokuzai Furniture is more than just a table or a cabinet. A piece of Mokuzai Furniture is a story, a piece of our life and our hearts and I am proud to be the one that connects that experience with our customers." You are ordering a one-of-a-kind, artistic piece of fine furniture. 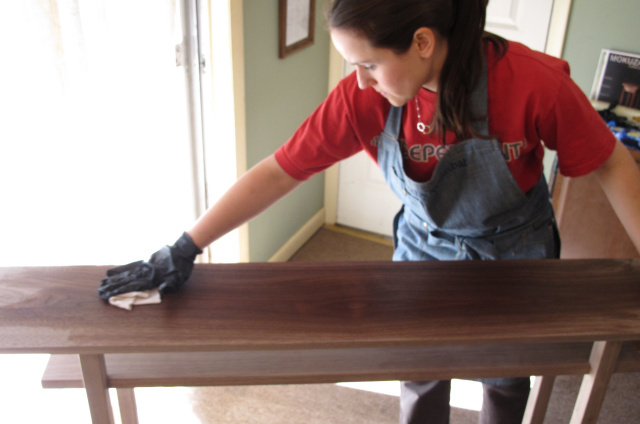 Your table is carefully planned from the rough slabs of lumber to the last coat of finish. Peyton is extremely specific about the use and placement of the wood grain patterns throughout each piece. Most people wouldn't notice at first, but if you look closely at a finished table, the mirroring, matching and flow of the beautiful patterns over the piece really take each table to another level of fine artistry. Our original composition methods create heirloom quality works of art. 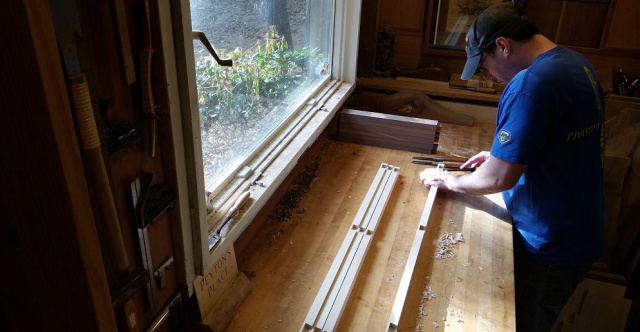 Rather than just cutting and gluing a bunch of pieces together, Mokuzai Furniture comes together with a unique series of interlocking joinery, careful dowel work and clever construction techniques. Throughout the production process of each piece of Mokuzai Furniture, we document the creation with a collection of photographs from our workshop. We pass these along to you, so you too can see the story and detail that makes your new furniture so special. The process is not fast. There are two of us, four hands, creating each and every part of Mokuzai. We built our own workshop. 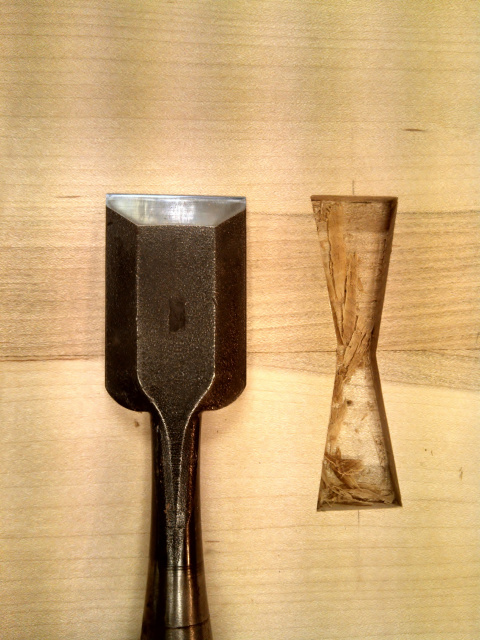 We build many of our own tools. We carefully select just the right lumber. We individually create each piece of our furniture by hand. There is no large stack of legs or table tops or pre-cut pieces ready for assembly. Each table and cabinet receive the same attention to design and detail. No edge is left undone, no corner unfinished. 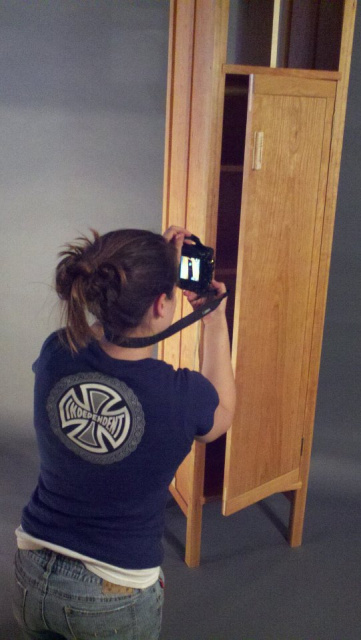 We do our own photography, build our own website, and design our own catalog. We build each custom crate and carefully prepare, wrap and pack each piece of furniture for shipping. There are no rush orders available, no quick ship options. When you order a piece of Mokuzai Furniture you will have to wait but we hope, when you unwrap your new table, the breathtakingly beautiful display of nature and artistic expression you find will be well worth the wait.